Make a stunning four panel bag using your Juki or Britannia Sewing machine. Using creative sewing machine feet, you will learn some decorative techniques. The feet we use on this class aren’t the standard accessory feet, see what other feet are available for your machine. All materials needed for this class are included. Tea and coffee are provided. 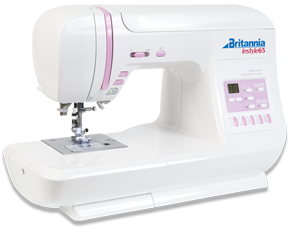 This class is for Juki and Britannia sewing machines, please bring yours to the class.